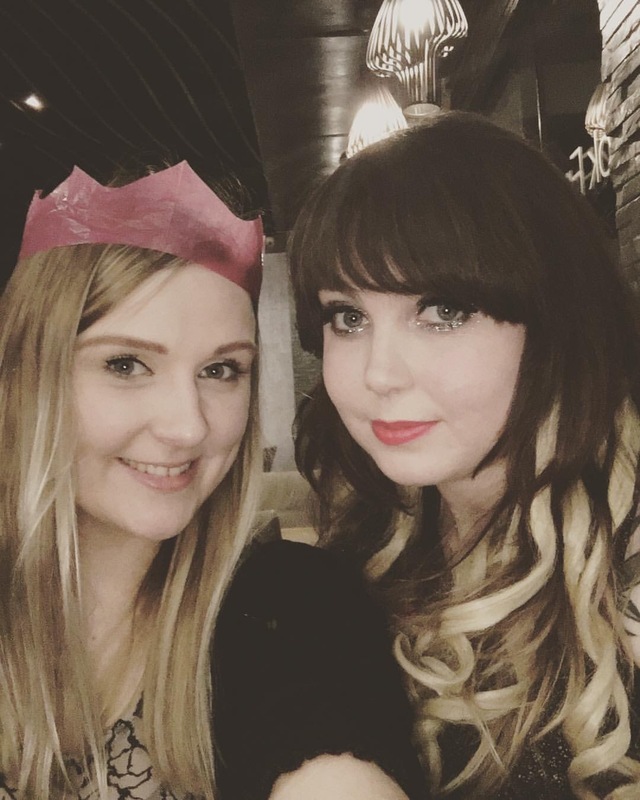 #Blogmas – Happy 25th Birthday To Me! Today, 24th December is my 25th birthday. Yeah that’s right, I’m a Christmas eve baby. 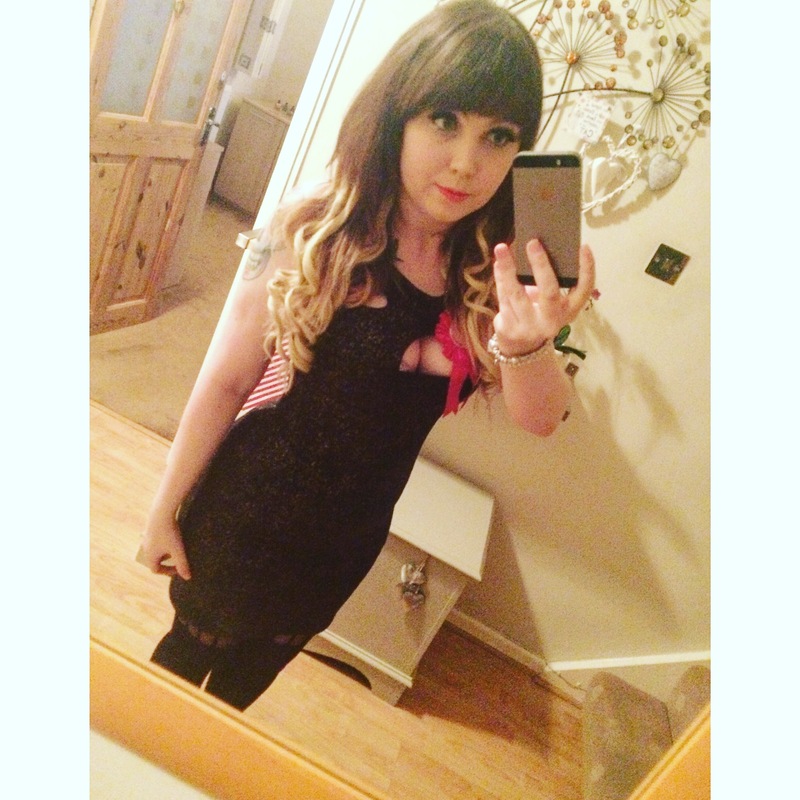 I decided to celebrate turning 25 with my friends by heading out for a meal and then going out for drinks after. I know I’ve wrote many personal posts during Blogmas but come on – it’s my birthday! I usually go out on the evening of the 23rd December to celebrate because Christmas is an awkward time to get people to do things. We decided on going for a meal at Cosmo York. It’s a buffet-style restaurant with food from around the world, it’s a great place to go if people are picky eaters. 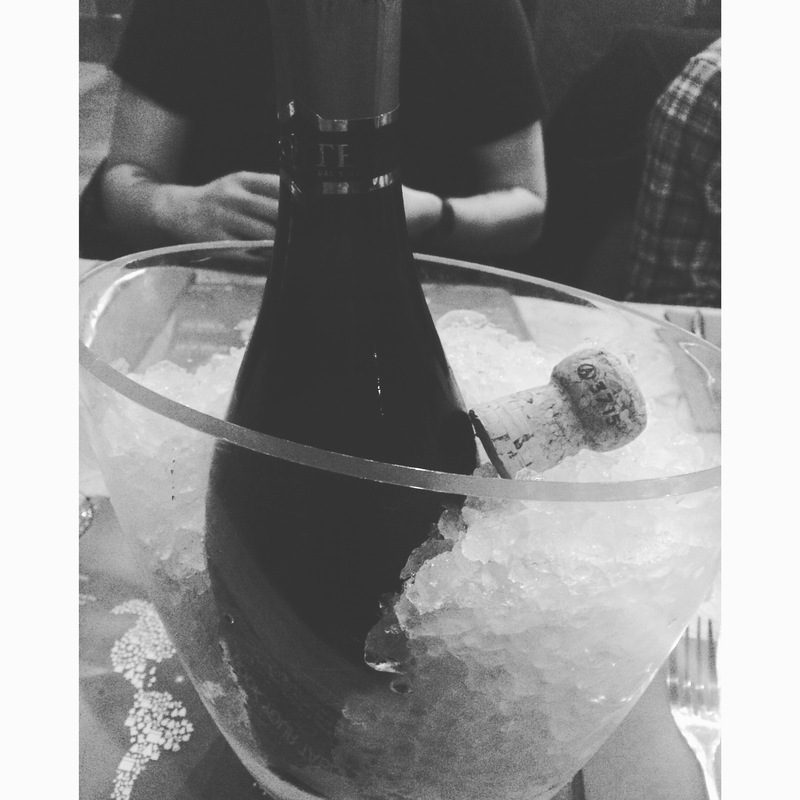 My lovely friends surprised me with a bottle of prosecco waiting for us on the table. I’ve got a total obsession with prosecco at the moment, so it was really nice and thoughtful of my friends. After the meal, we went to loads of different cocktail bars. Jo and I bought another bottle of prosecco near the end of the night. The bar man also gave me a birthday drink/shot. This morning I woke up to the gifts from my parents and cards from family waiting for me. I got so many lovely gifts – my mum knows me so well. I’ve been wanting a soup maker for months so that I can easily make soup to help me stick at Weight Watchers. I can’t wait to use it. 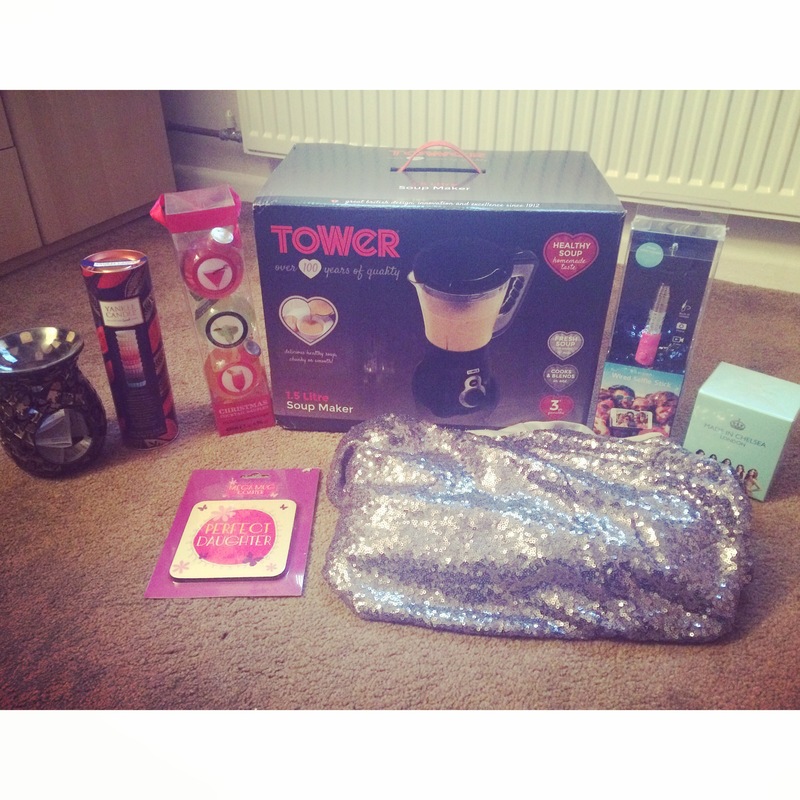 I also got yankee candles, Made In Chelsea perfume, cocktails, a selfie stick and more! At 10am mum and I had a booking at the salon to get our nails done. 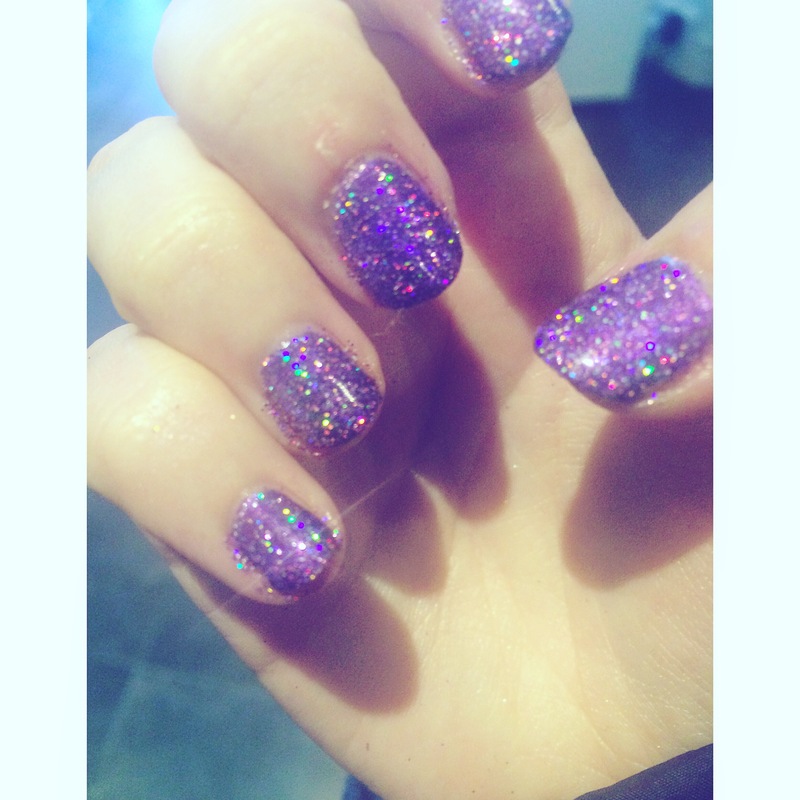 I chose this glittery purple colour. It still feels and looks like quite a festive colour. I love them. We then headed to a lovely restaurant called Delilah’s. 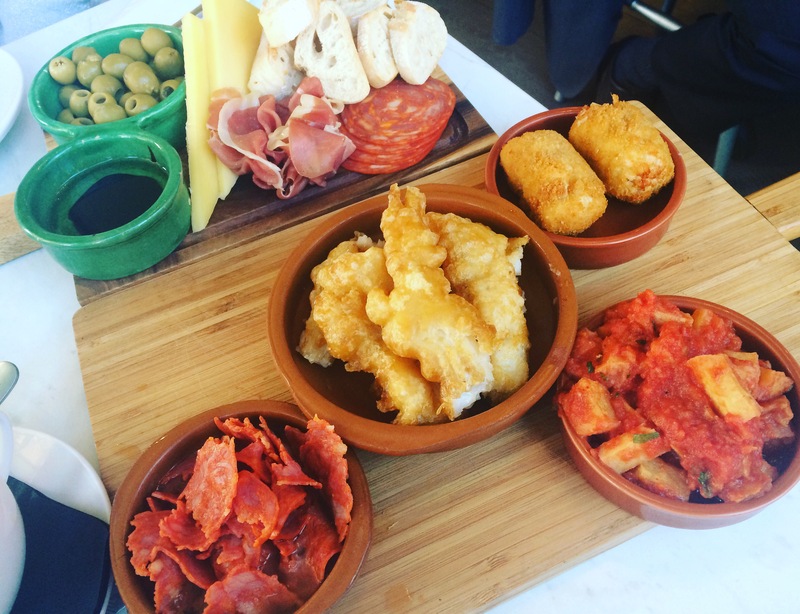 After browsing the menu, we decided on tapas. Oh my god, it was awesome. Both of us really enjoyed our food. This evening we visited family and now we’re about to have our family tradition of eating Cheese and Crackers, like we usually do every year on Christmas eve. I’ve had such a wonderful birthday. I’m so thankful for all the totally lovely people I have in my life. I’m a very lucky girl. Thank you to everyone who has made my 25th birthday such an awesome day. "#Blogmas – Christmas Day 2015"